Built from locally sourced logs, branches, and sticks, Natural Playhouses are an affordable and creative alternative to the playhouses one normally purchases from catalogs. Sturdy logs + branches + zip ties/rope/cording + a little ingenuity and skill = instant playhouse, puppet theater, or dramatic play. Collaborate with tree removal companies to conserve tree branches before they grind them. Alternatively, work with the landscape crew of a local college campus or botanical garden to get tree donations and plant prunings. The playhouse illustrated here requires a moderate amount of skill and a few hand tools to assemble. The lifespan of a natural playhouse is probably four to five years, unless a sturdy timber frame is used to support the natural materials attached to it. 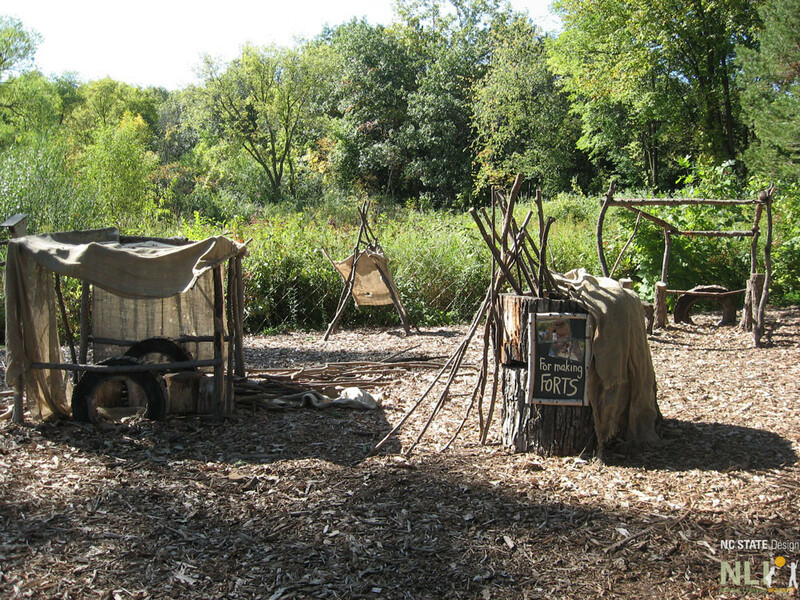 Otherwise, consider rebuilding the playhouse each year as a fun, active learning project. Use fresh cut branches, not ones partially broken down from the forest floor. 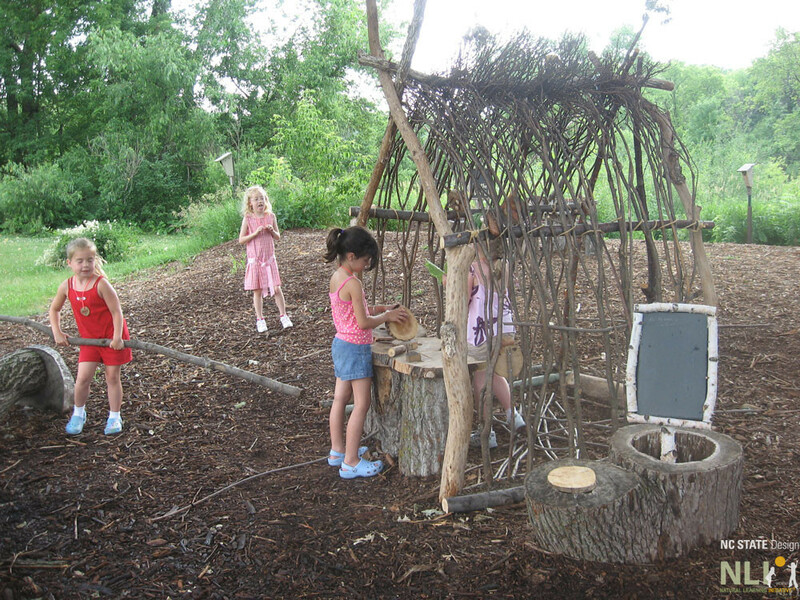 This natural playhouse at the Minnesota Landscape Arboretum can serve as inspiration at other early childhood environments. 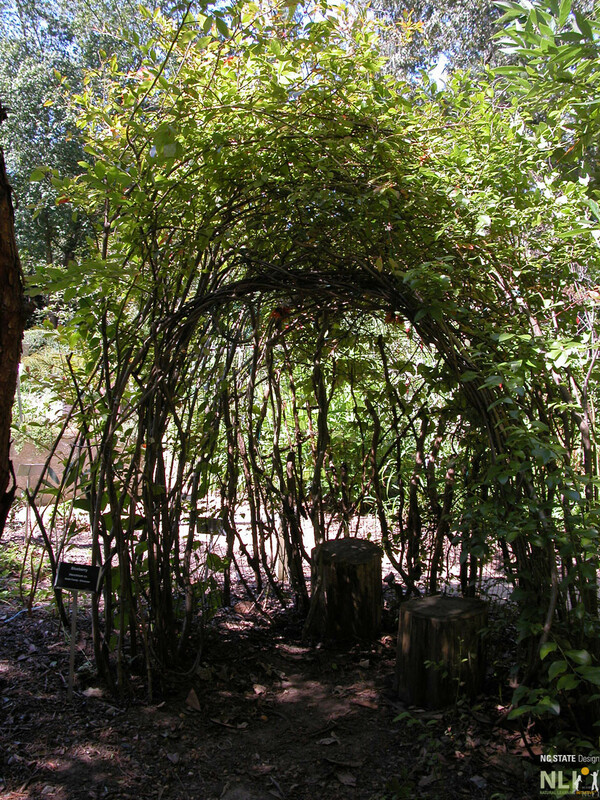 Other ideas for natural playhouse frameworks at the Minnesota Landscape Arboretum.